Yes, you will be jumping out of a perfectly good airplane! 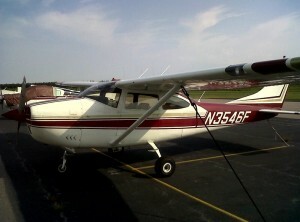 Our plane is a Cessna 182 with a licensed pilot and FAA approved jump door. The plane can hold 2 tandem students and their instructors.